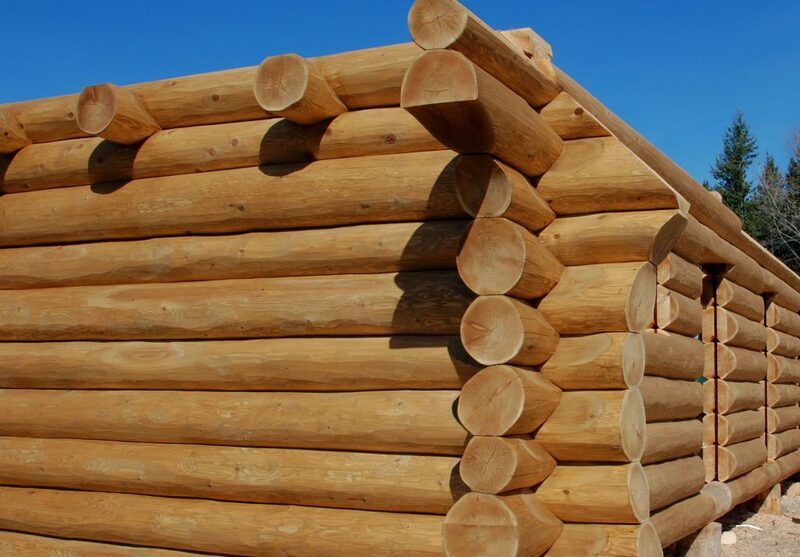 Home / Why We Love Log Homes and Cabins Blog / Your Log Package: What’s Included? What’s Not? 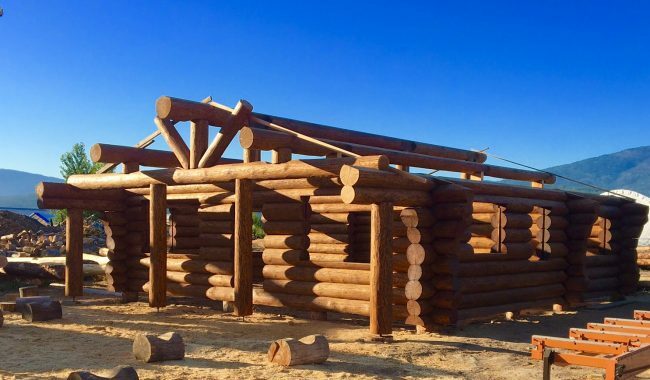 You’ve found a log cabin plan that you love but what exactly is included in that price on the page? Does the “log package” price mean you get the whole house? No. 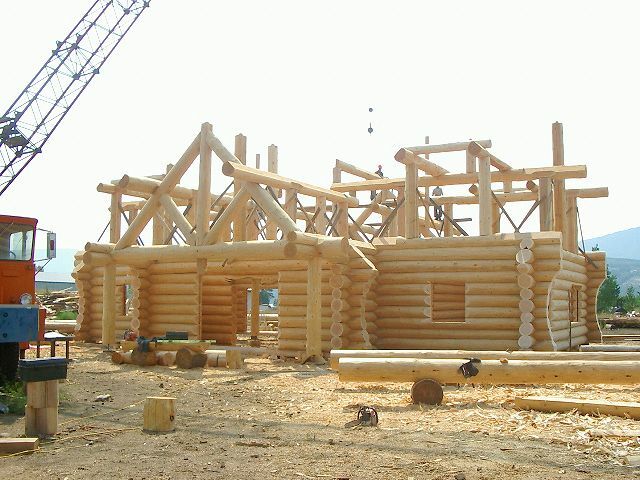 The price you see on the log home plan is for the complete log work which is called the “log package.” This includes any log walls, log loft support beams, the log roof support system etc. The rest of the project will be overseen by your general contractor. We’re specialists in our field. We have fantastic quality timber and log builders who each have 20 years experience. They take great pride creating the hand-crafted full scribe log portion of your home. High quality logs and craftsmanship will be obvious not just to everyone who visits your home, but to people passing on the street. You’ll appreciate the value of great log work for generations to come. In our experience, the best homes are built by trades and craftsmen who are experts in their field. We are the log experts, but we’re just one part of the team it takes to build a great log home. Your general contractor is the expert on factors in your area including building codes, geological issues, and weather patterns. He (or she) will have the knowledge to select the most talented local sub-trades and the most reputable local suppliers. 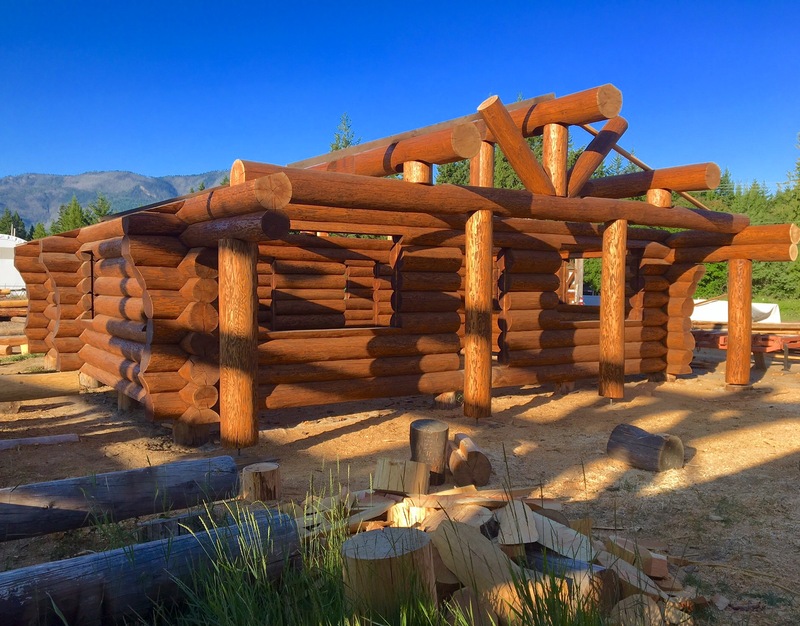 When a handcrafted log home is completed with labour and material from your local community, you can support your own economy and bring jobs to your own neighbourhood. Shipping: You pay only the price quoted by the carrier which will vary depending on your location. 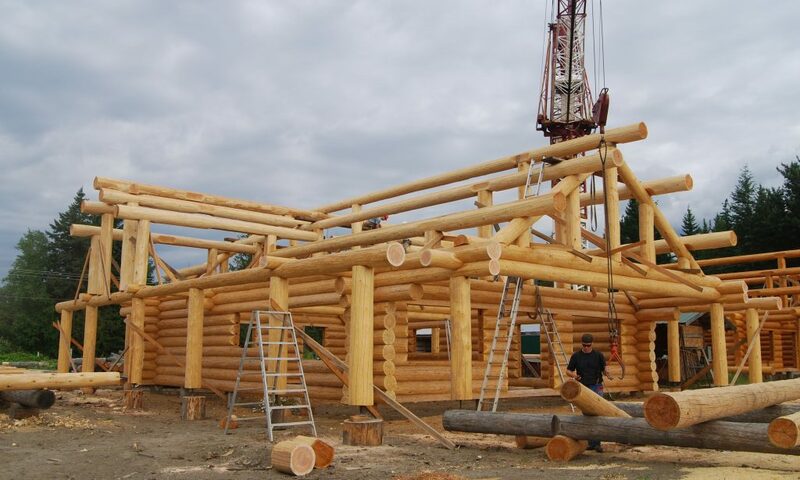 Reassembly: Our log-builders will travel to your building site and reassemble your log home. 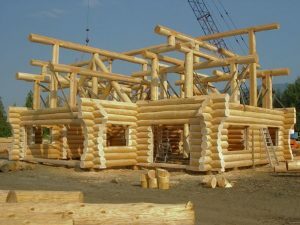 Professional Design Service: A draftsman experienced in log home design can create a unique log home or customize a plan for you and your family. Log accents: Log elements that are not included in your log package such as staircases, railings, carvings or other decorative log features. Discuss this early in the planning stages to secure time in the artisan’s schedule. Selection and hiring of trades: i.e. roofing crew, electricians, masons, plumbers, carpenters etc. Selection, purchase and installation of roofing, windows, doors, flooring, cabinetry, appliances etc. The roof system under construction on this log home package. 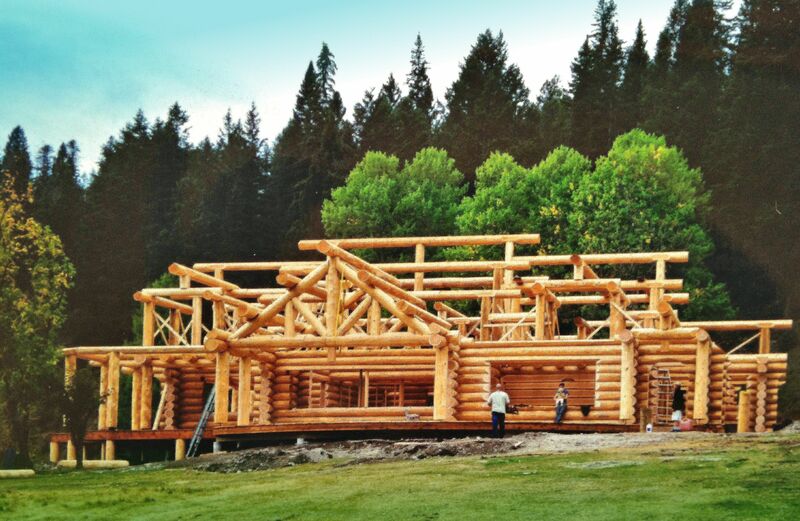 Down to the final stages of log construction, this home will soon be ready to ship. Ready for shipping, the log package for the custom home below includes the roof system and handcrafted log truss. The log package below has had an application of finish, an additional option that the homeowner chose. 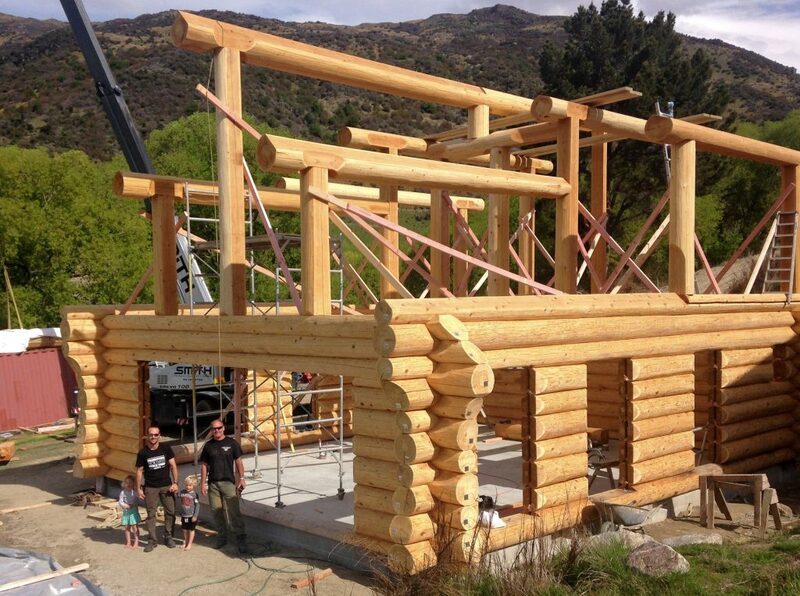 The owner of this log cabin and his children stands with a crew member during reassembly in New Zealand. Reassembly of the log package is an exciting time! The log house takes shape in a few days, after which the finishing work by other trades continues.